The Spot On Scripts Seed program is a launching pad for growers wanting to increase yields sustainably with better utilization of inputs. The program identifies areas of the field that are best suited for maximizing production, and areas of the field that are less favorable for high yields. With a nitrogen fertilizer prescription, the grower can manage inputs in the lower yielding environments and maximize production on the best acres. When paired with a hybrid specific seeding script, a positive return on investment is achieved. “Not every acre can provide top end yields, but if we can maximize production on 20 to 30% of the acres, without significant increases in input costs we create a positive ROI for our customers. Doing it in an environmentally sound way is an added benefit.” says Matt Weber, Norder Supply’s Director of Sales. 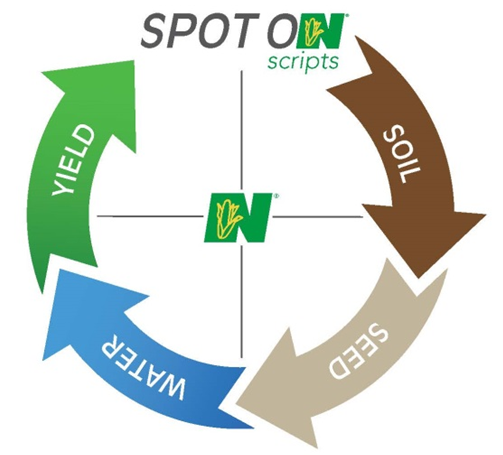 The Spot On Scripts Seed program and other precision ag services are available now for the 2019 growing season.